Israel and the Philippines displayed their cordial business relationship in a week-long roadshow in Israel. The roadshow, which aimed to promote trade and investments, featured 11 companies from the Philippines representing different industries. 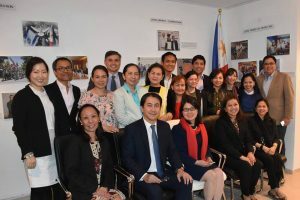 Head of the Philippine Delegation, Asec Rafaelita Aldaba welcomed by the Federation of Israeli Chamber of Commerce and Israel Asia Chamber of Commerce. Fourteen Philippine delegates, led by Assistant Secretary Rafaelita Aldaba of the Industry Development and Trade Policy Group (IDTPG) – Department of Trade and Industry (DTI), attended the event as representatives of the food, IT, and electronics industries. The two countries have had several agreements that represent their strong bond and friendship. Among these is the “Treaty of Friendship” penned on February 26, 1958. The two countries currently have a total of 14 major bilateral agreements covering various aspects such as tourism, agriculture, and science. During the celebration of Israel’s 69th National Day last July, Ambassador Effie Ben Matityau recalled the origin of the two countries’ diplomatic relations 60 years ago, during the administration of former president Carlos P. Garcia. “It was really [about] the people-to-people connection and our unique bond. Israel was one of the first countries to support the [survivors of Supertyphoon] Yolanda in 2013. This is another chapter that I call, ‘friends in need, are friends indeed,” Ambassador Matityau said. After meeting with the JCC, the delegates attended a briefing on Kosher certification of food products. The quick seminar was beneficial to Philippine food exporters who gained new information on venturing into Israel’s mainstream market. 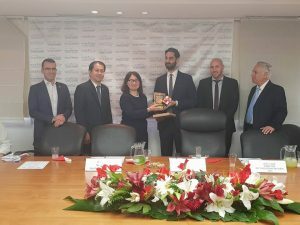 On the second day of the roadshow, the delegates presented themselves before the Haifa Chamber of Commerce who expressed their heartfelt welcome for the new business relationships in Haifa, Israel’s second largest city. 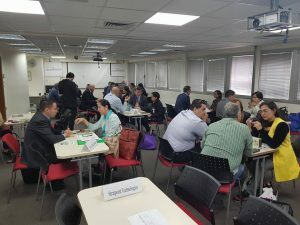 By the third day, the representatives had a total of 35 business-to-business meetings moderated and organized by the Federation of Israeli Chambers of Commerce. In turn, Assistant Secretary Aldaba invited Israelis to consider the Philippine archipelago’s business environment in exploring opportunities. Mr. Aldaba emphasized that the Philippines is currently an Asian hotspot for investment due to its macroeconomic fundamentals, a consistently high GDP growth rate, and a reestablished manufacturing sector. Meanwhile, more delegates spoke up about the thriving business climate in the country to invite more Israeli businesses to invest and expand in the Pearl of the Orient. “While the country is still evolving, that is the best time to search for opportunities in doing business,” stated Israel Chamber of Commerce of the Philippines President Itamar Gero. These efforts aim to help both nations progress in economic growth. While Israel is making itself known in the fields of science and technology, the Philippines is steadily and continuously recovering to become a gateway for global business opportunities.